This game really tests your pilot’s skills! Look out for the other planes in the sky, and mind the rocks when landing. Land dusty in all the right countries around the world, and finish the race before the others, to be crowned the winner! Aim carefully, use all your skill when you send Dusty flying, and remember that a bit of tactics makes it trickier for the other planes to succeed. May the best plane win! 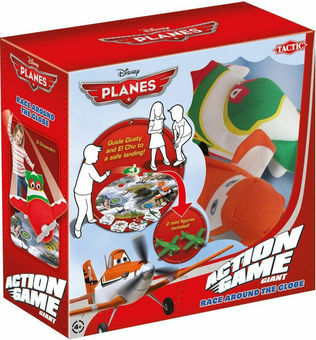 Suitable for 2-4 players aged 4 years plus.